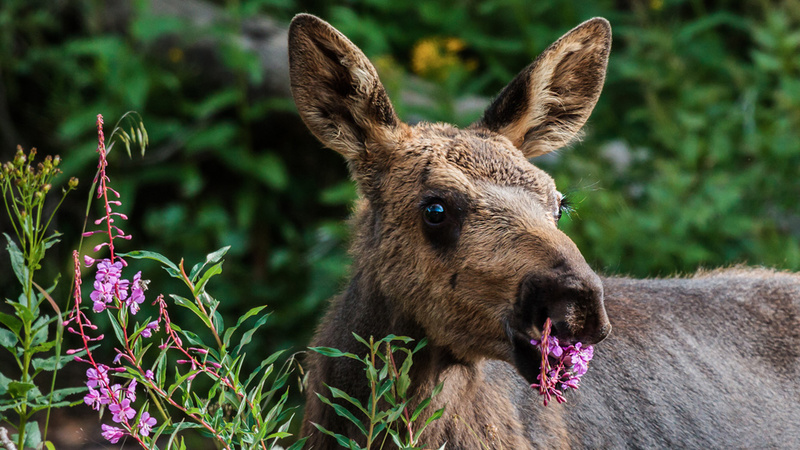 A moose calf eats wildflowers. Female moose typically give birth to only one calf at a time, although the healthiest females can give birth to twins. Image courtesy of Gray Photography, LLC.